K.I. Patton, CPA specializes in providing comprehensive tax, accounting and planning services to small businesses and their owners. We also provide tax and accounting services to not-for-profit organizations. Our mission is to help clients maintain financial viability in the present while taking a proactive approach to achieve future goals. This requires open communication to reach an understanding of our clients' needs, thorough research, and sound analysis. K.I. Patton, CPA is dedicated to meeting these goals with high standards of excellence and professionalism. Kathleen I. Patton, CPA has prepared taxes for over twenty years and served clients in public accounting for over ten years. She has a Masters in Business Administration with a specialty in finance. 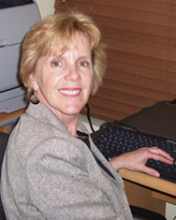 She is a certified QuickBooks Pro Advisor, Peachtree Specialist and a Microsoft Partner.